This news story is remarkable. The National Football League (NFL), has taken a stand in support of something other than greed, and its own self interest. As difficult as it is to watch 275 pound men run at top speed into each other it is like a car accident on the freeway. You cannot help yourself, and look. 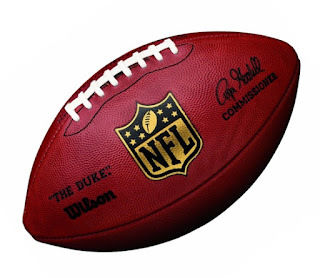 Bad press has abounded for the NFL and much like the the Tobacco companies of yesteryear swearing that smoking was good for you, the NFL has all but said about concussion; what concussions. Maybe in its own self interest a kinder and gentler(right) NFL took a stand for the fans this past week against the "discrimination is OK" state bills to limit transgender person from using the bathroom that represent their gender. Here is what was reported by Mike Freeman in the Bleacher Report. "We firmly believe that discriminatory laws such as (North Carolina) HB 2 are bad for our employees, bad for our fans and bad for business," 49ers owner Jed York said in 2016. "We believe that HB 2 will make it far more challenging for businesses across the state to recruit and retain the nation's best and brightest workers and attract the most talented students from across the country. It will also diminish the state's draw as a destination for sporting events, tourism and conventions, and new business activity. The NFL also is fighting another such law, this time in Texas, by issuing what was almost a thinly veiled threat. "The NFL embraces inclusiveness," spokesman Brian McCarthy said in response to a Houston Chronicle email question on the bill. "We want all fans to feel welcomed at our events, and NFL policies prohibit discrimination based on age, gender, race, religion, sexual orientation, or any other improper standard." I've been told, and McCarthy intimated to the Chronicle, that the NFL is prepared to withhold any future Super Bowls from being played in the state. The NFL - We do appreciate the support. Thank you - That took balls.